And here's where we hit a bit of a snag. See, there's been some buzz surrounding the long-awaited debut album from British producer and composer Anna Meredith, who has performed alongside James Blake and who has been making big splashes in music over the past ten years... in classical music. And this makes more sense than you'd expect - in recent years there has been a surprising amount of crossover between classical music and the electronic scene, especially on the avant-garde where melodic experimentation is much more prevalent. And here's where I have to confess that despite having a classical background in theory and piano, the more I delve into classical music and opera the more I keep discovering how woefully incomplete my knowledge is. That's one reason I've always shied away from covering more jazz records - as much as I'm coming to like and appreciate it, I feel there is so much more history and albums I need to absorb before I can consider myself a credible critic of that genre. I'll confess to having a little more knowledge built up over the past two years with electronic music, but I didn't expect Anna Meredith to make things easy - this is a woman who has written operas and orchestral arrangements, if she was going into electronic music, we could be getting some out-there material. But might as well have a challenge, so I dug into her debut album Varmints - what did we get? 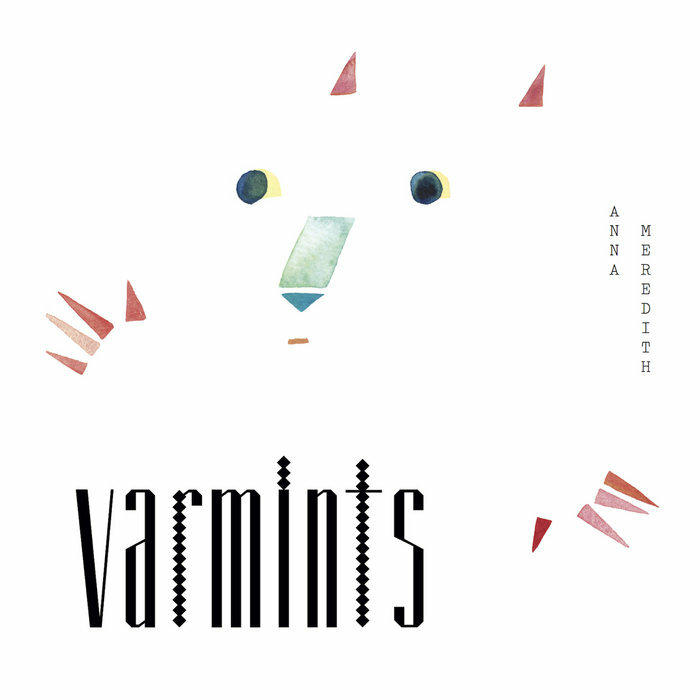 Well, I'll say this: this might be one of the hardest albums that I've ever had to evaluate - and let me stress that Varmints is not an easy listen either, blurring the lines between classical and electronic with a poise and power that can hit like a ton of bricks. Classicists will be perturbed by the offkilter electronic wobbles and howling guitars, electronic music fans will be thrown off by the odd pop sensibility that runs through tracks or the intricate, classical bending of the compositions, and pop music fans will likely run for the hills. But something kept drawing me through this album, and the more I dug through it in detail, the more I found one of the most powerfully tragic and achingly sad electronic records I've heard in years, full of cryptic endings that retain their intimacy but mean so much more. In other words, while this record definitely is one that requires a lot to decode, it's probably going to end up as one of the best albums of this year. So how do you even start talking about this? Well, the first will come with composition, where the most classical influences come through, and where this album will feel the most disconcerting to fans of more conventional electronic music. While there are thicker beats and dubstep-esque bass wobbles and some phenomenal live drums, the first thing you'll notice is that sometimes their cadence can feel a little 'off' in comparison to the melody lines driven by the fast, brittle synths or the ebbing borderline chiptune wobbles. And that's not even touching on when the strings break in to form a frantic sawing motor galloping the song forward or the heavy brassy horns adding a symphonic, borderline cinematic climax. Hell, even when the horns seem to build to a conventional form of bombast on 'Nautilus', your ear is drawn to different melodic cadences as the layering changes even as the melodies themselves barely change at all! Many critics have drawn comparison to how off-kilter and deranged this supposedly sounds, but as more listens lets you unpack the patterns, you realize how much of it just fits together seamlessly, the high jittery keys mirrored on a slower cadence in the strings or mid-range synths or strings or squealing noisy guitars. And keep in mind that Meredith isn't shying away from shifting elements that normally don't evolve beyond an established pattern in conventional electronica - tempo and beat change-ups nested within each other, to say nothing of a superb control of musical dynamics that allow the songs to expand and contract organically while still maintaining real, interweaving melodic patterns! And really, I could rave about the compositional elements all day from a technical point of view, but in order to make these tracks feel as fully fleshed out as they do there's also a superb command of instrumental tone and production. How the watery rollick of the guitar on 'Taken' is allowed to evolve as the bass is allowed to roil and the snare drum pickup gets sharper, the very stiff beat on 'R-Type' against harsh wind-touched fragments until the drums cadences and sawing strings ratchet up the tension to match the cascading chiptune that dissolves into heavily compressed guitar layers, or on 'Shill' where the off-kilter melodic sequencing eventually fuses into one of the most potent climax moments you'll hear all year. And then we have 'The Vapours', probably my favourite track for taking a great little guitar lick and working it through layers of mirroring through strings and Ayreon-esque synth tones with whirring, galloping percussion and bass-heavy brass that has such great control over its volume that the return to the main melody up the scale, it's an incredible moment! But it also is balanced in the slower moments, from the airy fragments and mournful strings of 'Dowager' to the layered vocal harmonies of 'Something Helpful', from the odd melodic mirroring of 'Honeyed Voices' to the heartbreakingly powerful strings on 'Blackfriars', where the only electronic piece is the ticking of a clock, showing time slipping away. We'll come back to this when discussing themes, but I might as well mention the few minor gripes I did have with the composition and production I had with this record... and really, they're perfunctory at best. While Meredith's willowy vocals work just fine on this record, I wasn't precisely wild about some of the male vocals, as they didn't really add much, especially the higher tones on 'Dowager'. And while I could nitpick tones - I wasn't initially wild about the synth on 'Honeyed Words' and wish a few of the guitars could have a little more muscle - the only song that compositionally underwhelmed me was 'Something Helpful', where I feel the abrupt ending and less complex melodies isn't quite as intense or interesting here. But make no mistake, it made up for it in the lyrics, and this is where this record caught me off-guard on how well it came together. I've said in the past that lyrics are kind of perfunctory on electronic records, but points must be given for a lyrical cohesion and flow that could easily fit within the pop sphere, even if Meredith is aiming higher. And initially themes seem a little tricky to parse out, until the patterns start to become more apparent - 'Taken' details a relationship burning out in apocalyptic terms as old securities melt away and 'Something Helpful' shows disinterest and disconnect leading to a situation where even lies and friction can't restore it. But it's 'Dowager' and 'Last Rose' where this album gets truly intriguing, in the latter case showing a rose where everything has decayed and died around it mirroring the protagonist's own loneliness, which is accentuated even further on 'Dowager'. In that case, we get a series of bird metaphors showing how time and nature has stolen away beauty and the widow's husband and an increasing disconnect between eagles and robins, royalty and those common, leaving the lonely dowager trying to find something to occupy her time, planning to take to the sky and perhaps crash down upon the world from an implied tower to a uncertain landing. And that's where the metaphors take the most shape and scale - how the classical instrumentation takes lower, deeper, even minor progressions against gleaming electronics and guitars that seem overflowing with life... the old order and sound replaced by the new. The institutions are crumbling, the horns call for the great unknown that rises out of the deep, and while there is beauty in the old ways that should be remembered, holding onto the archaic without purpose only prolongs unnecessary misery. This record does a phenomenal job capturing the mingled emotions at that change - rage and fear, grief and wistfulness, and yet excitement and exaltation as well. Hell, if you really wanted to stretch, given how Anna Meredith has pivoted away from classical music to embracing more electronic elements, you could say it's her own commentary on her artistic transition, but that might be the sort of overthinking that she herself might frown upon... so let's keep it simple and say that I love Varmints by Anna Meredith. The organic swell blended with technical precision that at the end of the day relies upon simple, brilliantly arranged patterns. The writing is sharp and emotive, the themes stark and powerful, and the climaxes are some of the best you'll hear all year. For me, it's a light 9/10, but as a recommendation... folks, I won't mince words, this is an intimidating piece of work, but give it the time and listens and you'll most certainly be rewarded.